I was asked before what it took for me to survive outside the Philippines as I dealt with unfamiliar nuances, cross-cultural ambiguities, being outnumbered by collective styles and preferences that were not part of my drills as I grew up and adapted (think Charles Darwin for a second), and the challenges I have overcome as I tried very hard to stay competitive in the global playing field in my management career. Did I need to completely change? Did I practice office politics? Did I think outside the box? In my response, I put together a list of thoughts that became scattered in my consciousness over the years before I faced about a dozen young Pinoy managers in the Makati office who were waiting for my answers. They wanted to put up a class of about fifty attendees originally. I refused. I said I wanted to converse and not to lecture. I wanted an interaction and not to orate a dissertation. I wanted to see them react to what I was saying as I could also learn from them in return. I guess I convinced them, except that I had to run three more sessions in addition, with also about a dozen attendees in one sitting after the first one. I arranged these scattered thoughts into compartments of concepts that I hoped would allow them to relate to and not just to understand. The answers were rather simple to think but could be difficult to carry out without trying at first, then followed by learning through repeats until the thoughts became YOU, like wishful-thinking. To a Pinoy, it is not a box that contains our brain… or that part of the body that creates an idea. Whatever that is. 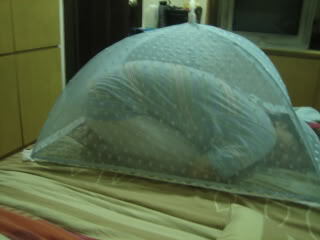 It is like a mosquito net. Or kulambo in Tagalog. We grew up being aware of what was outside our environment, always ready to tease our curiosity. We were born to be global. There was that uncle who worked in Saudi Arabia bringing home a Sony Betamax or that stacked-up Marantz component. American novels were sold in paperbacks at National Bookstore long before the hardbound version would become one in the US so the Pinoy pocket could afford it. The math that went with the Bumbay’s five-six; that the London bridge was falling down, falling down, and one more time, falling down; and the list could go on and on. When you travel around the world, you will always see a Pinoy even in the most far-flung places. There is a place for every Pinoy. We are like the wildcards in a deck of cards. So, the challenge was easier than what you think. Inside the kulambo, you already knew the answer. You couldn’t grab it but you could imagine it, feel it and see its silhouette. It became normal for us Pinoys therefore to know what the answer was first. The educational system in the Philippines enforces this as well. There is a big difference between a perfect score in quizzes and having just one mistake. In a test of a hundred questions, a score of 99 is closer to a score of 95 than to a perfect score of 100. The starting strength of a Pinoy therefore is knowing the right answer, as we think outside thekulambo. It could be a fact, a thought, a solution, or a process. The true challenge, however, is how do you work your way out and get outside the box or outside the kulambo? And once you are out there, what do you do? For this challenge, the difference between a box and akulambo would matter less. Kakagatin kaya ako ng lamok? With this challenge comes a few more concepts that Pinoys need to understand. So, read on. Don’t get me wrong. I am a grammarian. I fell in love with grammar as early as when I learned how to parse a sentence in high school, thanks to my Language teacher back then. Having worked in Japan and China and surrounded by other Asians, I learned that grammar is the mere icing on top and not the cake itself. In a career that is called management which is full of challenges to be able to influence an outcome especially as you climb to the top, how we structure our words or sentences becomes less relevant. It is a tie-breaker but more than that, it is not the main point. It can be improved over time with practice and patience. Conversely, if you cannot connect two dots and come up with an insight for you to be able to change the course of a direction for your team, it will take you more than a lifetime to develop that skill. Pinoys like to pick on other people’s grammar. I was not an exception. It is a habit that started in the classroom but did not end there. A wrong grammar is a good gag material for a comedy movie, case point. In other words, our culture trained us to laugh at wrong grammars. Being too overly focused on grammar stalls one’s ability to practice confidence in representing who you are as a person. Other Asians and aside from the Indians (and let me tell you this, it is in-dee-uns not in-juns when you pronounce), they don’t really care. Fresh from college, I was floored by a brilliant idea shared by a young Chinese manager on how we could make Tide profitable in China. I did not focus on inconsistent verb tenses when she talked. I jotted that idea down and made it bigger. Would you withhold sharing an idea because the other Pinoy in the meeting might catch a dangling modifier? 1. Keep your sentences short and use simple words. 2. Think of what the audience needs to hear, and not what you would like to share like how you came up with that idea or simply put, how smart you are. 3. Ask for feedback. Are you being too elaborate with your expressions? 4. Write. You can go back and edit the excesses until you come up with a succinct message. You will then learn how to edit yourself on the fly when you talk over time. 5. And the sad tip. Don’t look in the direction of a Pinoy when talking if permissible while you are still in learning mode. It is more distracting than seeing a naked man run across the meeting room while you are talking. Just like in the case of a wrong grammar, a Pinoy is fond of spotting what is wrong. It’s like beating Manang Bola and her kristal na bilog. “Alin, alin ang naiba? Isipin kung alin ang naiba!”. Or Joey de Leon’s “Wow, mali!”. When I was just starting in the Philippines, there was this person who was good in highlighting what was wrong. In her mind, mistakes were all abound and while she did not say it, it seemed that she and her acts alone were flawless. Young as I was then, I did not see anything wrong with that. I thought that it was a good example of critical thinking. I was amazed by how she could see beyond what I could spot. So, I spent time enriching my knowledge so I could see more and sharpen my critical thinking. Years later, I realized that this was not enough and if done without the right framing and at improper stature, if could lead to a career disaster. Accomplishments are seen in terms of outputs. Outputs are the results that an organization evaluates. Spotting and highlighting what is wrong alone is not a result that can be evaluated. Being a fault-finder at work is another Pinoy trap. A common phrase that sums this up in a colloquial setting is when someone tells you “puro ka na lang reklamo“. To transform this into positive, one must know first what needs to be done to improve or correct something. The power that lies in a person who is good at finding mistakes is only strengthened by that same person’s ability to push something forward. When you do this, highlighting what is wrong becomes more irrelevant than focusing on the solution itself. A Pinoy’s often inability to dwell on the solution may stem from the lack of trust in how our society implements actions that can lead to an improvement. It became too easy sometimes for us to say “di bale na lang” or “wala ring mangyayari”, which by the way are both popular song chorus lines and their lyrics have become cellulites in our brain. And yet, our critical assessment of events are often hard to restrain. In an office setting, you are being compensated to act. From your action, your ability to shift gears and turn actions into big changes make you a leader, a catalyst for a change. 1. Be in the mode of saying “I think it would be better if….” instead of saying “something is wrong with…”. 2. Look for similar issues elsewhere and see if you can re-apply the solution into your own problem. You don’t need to be an original. Someone already invented the wheel. 3. Be sensitive to who is around you when you criticize or change something. It could be your boss’ project ten years ago which was right then but is needing a change now. 4. If improving something will only mask the issue, be not afraid to destroy it and start all over again. Make sure you have a ready plan and can enroll everyone around you to join. 5. And lastly, if something is wrong but you don’t know what to do, the best action to take is to shut up. Kundimans are traditional songs that express one’s desire or love for a girl in the presence of others, typically her family and the friends of someone amorous. The lyrics of a kundiman are typically long-winded and indirect expressions, full of analogies and depictions of someone’s intent which defend the decorum that pursuing one’s love should be done in steps and stages. In other words, huwag namang pabigla-bigla. A Pinoy’s method of communicating is often winded and indirect, paliguy-ligoy. It is part of our trait, like it or not. Those kundimans of ancient years were part of our parents’ or our own procreation, so that being indirect is the sound of our blood’s music. That is also how people talked to us in family circles. May gusto sana akong sabihin sa iyo…. When asking questions, we have tendencies to start with the easy questions first before asking the single question that would sum up all that we need to know. Huuuy, natanggap mo ba iyong email ko…? Then by the time we get to the most salient question of all, time can be up. “Pass your papers, finished or not finished”, as our teachers said before. In a cross-cultural work setting, this could result to missed opportunities for a Pinoy. There is a huge difference between “do you have time to talk this afternoon?” and “are you ready to review the completion of my project?”. The first question can easily be answered with a “no” without feeling the guilt while the second question deserves true pondering for the proper answer. Add this, the higher the person you are talking to, the less time the person has for time accommodations. Most American bosses I have worked for had less than five minutes to engage on a work subject. They always assumed that below them, someone was already taking care of the details so that there was no need to discuss the “garbage”. “So, what’s next?” became the main theme in our conversation. There were only a few exceptions. Those past experiences dealing with high-level bosses have made me become used to a very fast-paced exchange of communication on a platform that requires that both of you are always on the same plane, or you will always miss each other. Later on, I turned the tables by being the person that demanded the same attention to time. Try the elevator pitch test, for example. You meet a non-Pinoy boss two levels above you in the elevator on the ground floor and you only have one minute or less to engage before one of you exits the elevator car. How would you take advantage of this engagement opportunity for your own career? What would be a good topic to engage on in 30 seconds? If he started a topic, how fast would you be to think on your feet as Americans would put it and smartly return the jab? A person I was remotely mentoring while he was based in Manila reported to my American peer who was also in the US. Pinoy subordinate, American boss scenario. When I asked my American peer how the Pinoy manager in Manila was doing work-wise, she said he was “great”, which if not further elaborated is an American filler for “not bad at all but I cannot think of anything else to specifically talk about”. In other words, not a disaster. Just OK. Wanting to get more details, I asked the American boss her plans for when the Pinoy manager would be promoted to the next level. My question took the American director by surprise and countered my question by asking me if I thought that the Pinoy manager was ready for a Level III manager calibration. I delivered the most shocking news to the American with my reply. I told her that the Pinoy manager in Manila was a Level I manager. So, he was promoted the next day to Level II manager. All the time, the American director thought that the Pinoy was already in Level II. I called the Pinoy I was mentoring the following week to congratulate him and to ask out of curiosity if he brought up the subject of his promotion in his prior phone conversations to his American boss and how did he ask it. He said he was always asking for a feedback for his work and was assuming that the American would notice that he was ready for that promotion. So he took pride in his wrong way of asking the wrong question. He was asking for a work feedback and he expected that his American boss would understand that he was also asking for his promotion. Two entirely different questions! Obviously, he did not realize his promotion would not happen if I did not intrude. So I kept that part to myself as I coached him on how to better position himself next time in his one-on-one meetings over the phone. How he framed his question was like asking for a glass of water after having crossed a desert by dancing to the gods of rain. Kung ako ‘yun, sisigaw na ako ng Tubig!!! Gets? 1. Your email should tell the addressee what you want them to do upon reading it and say that in the first sentence. “This informs you that…”, “This requests you to…”, “This is to clarify that…”. It increases your chance of having people above you read it in full. 2. Respect the other person’s time by focusing on the objective of the conversation. Let the other person drag it if he or she wants. Stay away from the drama. 3. Ask smart questions that will shorten the conversation. 4. Replay in your mind what happened during a meeting and note the time when you were being long-winded or paliguy-ligoy. Fix it for the next opportunity until you become better at it. 5. Don’t be poker-faced in a face to face conversation. Show or say your agreement in a not disrupting way while listening to the other person. Likewise, feel free to say your disagreement when it is your turn to speak and explain why. And again, be direct to the point. Picture this. A flood hits the city. Pinoys smile as they deal with the act of God that fortuitously affected the normal day. The show must go on, sabi nga ni Kuya Germs. Somewhere in the editorial section, a columnist brags about how resilient a Pinoy is, always standing up and not deterred by any calamity that comes his way. Nakangiti pa kahit basa na. As I have lived outside the Philippines for years, this is the time when a reverse culture shock hits me. A reverse culture shock is the state of one having a difficulty in re-adjusting to one’s original culture after having been away from the social norm. This is the same shock I feel when I ride a taxi in the first few days of being back in Manila. The deafening sound of the taxi car stereo gives me a headache. Then I normalize again after a few days. Balik sa dating gawi, sa dating kulambo. While I saw the resilience part, I first wondered what the authorities were doing to prevent the flooding from happening. Nobody talked about it. Not a single coverage in the news. It’s like what the Americans call the white elephant in the room. Its presence in the room is so obvious but nobody sees it or wants to talk about it. We Pinoys were raised to be the greatest reactors. Outside of the Pinoy culture, other races focus first on proactive measures. I have learned that proaction is at least ten times more important than reaction. In Zambales when I was younger, a neighbor married a Japanese citizen. One day, I saw him cleaning the gutters and freeing the canal from accumulated trash and debris. I asked him if Japan’s sewers were clean, almost rhetorically. In broken English, he said “no, if rain water flow.” If it rains, the water will properly flow. He was in a proactive mode. He was trying to be ahead of the rain’s game which was to cause flooding. Okay, let me bring this concept home. Let’s go back to the office environment. Over the years, I have learned how to prevent a disaster at work from happening as I have learned how to focus on that pound of prevention versus that ounce of cure. Americans call it being ahead of the curve or the game, figuratively. Japanese loosely refer to this as kaizen or continuous improvement. And it was hard in the beginning. It was like investing my time on something that would yield nothing. It was against my DNA. I added contractors in a team as a backup for critical people who could possibly leave and opt out with their knowledge. When this happened, the extra cost more than justified the crisis that was averted because of the existence of a Plan B. I laboriously spent time to perfect a decision matrix in case confusion reigned in the middle of a project execution. Clarity was provided from the beginning which ensured critical paths and timeline would be followed. And so on. Advanced planning and running early what-if scenarios became as crucial as the execution itself. 1. Always think of what could go wrong and work on a mitigation plan for each. 2. Keep a journal or something you can go back to as a reference. It frees your brain from retaining knowledge that can be discretionary only. 3. Encourage people around you to do the same. You’d be surprised at what could learn from them. 4. Plan ahead and be clear on the critical milestones and where you are at the moment. It is OK to change course when there is a plan. 5. Get down to the root cause of an issue or a possible issue. While generally more difficult to address, attacking an issue at the core makes you a better manager than someone who is merely scratching surfaces. And lastly, if you are forced to react after all the planning and being proactive, remember that you are a Pinoy. Take your resilience out of your back pocket and this time, you get the right to shamelessly display your logo. Super T for Tigas. The Pinoy pride fights and wants to win. Pacquiao can beat Mayweather even in December when the weather is cold and everyone agrees. Pacquiao is not just a summer fighter. We may not show it sometimes but we are a very competitive race. And we know how to inject fun when we compete. We can bring our mothers to a fight. The Wala ‘Yan sa Lolo Ko jokes in Eat Bulaga! funnily sum this all up. Even when we are losing, we still push ourselves to get up and win. Even to the extent of changing the rules in the middle of a game being played, sometimes. Weening! The only fault I see in this as compared ourselves to other races is that we focus too much on winning and not on the possible winner. That is ourselves. The rules, we know them. The opponents, we also know them. The arena, we have seen worse venues so who cares. We think we know ourselves that is why we think we can always win. But most oftentimes, we don’t know ourselves. And when we don’t win, we get confused. What’s the saying? Nasa hulihan ang pagisisisi. So pati ti Julian, nadamay tuloy. The most ancient search for knowledge is in knowing ourselves. Translated, it means knowing our strengths and weaknesses. Most of the wins I collected at work are primarily because I played on my strengths. These were the battles I could fight even with my eyes closed. I made sure that I got to apply my strengths versus those that truly mattered, the big events. These were the things that were really important for the companies I worked for. It did not matter if they were important to me or not. It was not about me. On my weaknesses, I stayed out of those fights that required them while I continued on the side to sharpen these skills. Over time and as I got older, I realized that I could not be perfect. In recent years, I had to declare these weaknesses as my limitations. It was not about giving up. It was called reaching the age of maturity. It was time to move on. I was past my half-life. I was judged by my organizations and the people around me based on my collective strengths and weaknesses. I made sure that I had more positive, net-net, to contribute to the group. On my strengths, I asked if any of these were points that I could differentiate from others. In other words, if I could create a knot in my belt using just one hand in a split of a second and others could do the same, that was really not a differentiated strength. It was a commodity na parang bigas, marami ang nagtitinda. Others could do it, too. It would not set me apart. But if I was the only one who could do it, that would create a demand for me. So I came up with a list of my unique abilities. [Author’s note: it is true that I can tie a knot in my belt with single hand stroke in less than a second]. Another trap that a Pinoy can enter is what I call the honor roll’s trap. This trap is the continued behavior at work as if you were still running for being your class valedictorian. This is the never ending conquest to be the smartest. It is about having an answer for everything. This is the sin of operating too much on knowledge. This will get a Pinoy nowhere in the work place. The key to making it to the top is in not providing the right answer when you are being demanded the best answer. When you provide the best answer, it may not be the right answer for the group you represent but it should the best answer for the entire organization. It takes a keen sense of understanding of what is around you for you to be able to give the best answer. You may need to humble yourself down to relate to the lowest level person in the organization as you search for knowledge to get to to the best answer. Seek ye first. I’ve worked for bosses who were less smart than me and that told me something. I was below them and they were above me. Meanwhile, I have had direct reports who I thought were way smarter than me and so long as that did not matter to them, it also did not matter to me. It was not about that. The differentiating factor that sets us apart other than levels is the fact that the company expected different outputs from us. From this understanding, I have learned the art of picking my fights at work. I tried to win big fights and sometimes, I intentionally attempted to lose small ones for the sake of looking more vulnerable. Like a mortal. Umuutot din ‘pag may time. Which could be endearing to some. Which made me reachable to most. Reach kita kung di mo ako ma-reach. Win-big-lose-small has been my pattern. Then I moved on to the next challenge and stayed away from the celebration. I don’t beat my chest like Tarzan. 1. Do not fight all the battles at work. Fight only those that matter. 2, Play on your strengths and separately address your weaknesses. 3. Focus on learning and not on your position. 4. At each position you are in, know the rules to succeed. They may be different from position to position. 5. Learn from the Indians. They ask a lot of questions. What you see is them wasting someone’s time. What you don’t see is that they are widening their playing field. 1. Did I need to completely change? My answer: No. I retained my own personality and the person that I was. I did not disown my being Pinoy and my cultural background, either. But did I change? Yes, but not completely. The changes I embraced came with what I learned and by simply keeping my eyes wide open to how I could continue to improve. Just like the Japanese kaizen thought. Or that American author Covey sharpening his saw. Or that Chinese philosopher Lao Tzu learning more by adding knowledge everyday and getting wiser by removing it everyday. So, the changes were the result of all things that I did but not exactly what I had to do. It was the effect and not the cause. 2. Did I practice office politics? My answer: It depends. As politics related to how I had to understand the people around me and being sensitive to their unmet needs and how I could rise up to the occasion as I took advantage of them within reason and ethical standards, yes. As politics related to how I could be untrue to myself and the values I represented just so I could be accepted and feed to other people’s greed for power for something in return, no. 3. Did I think outside the box? My answer: No. I thought outside the kulambo.